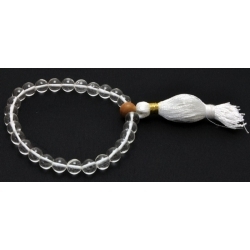 Used just like the common 108 bead mala, these are worn on the wrist. They are usually 27 or 18 beads, plus the Guru Bead. 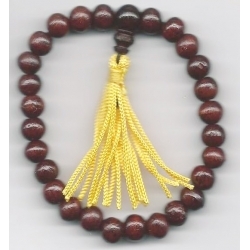 Beads of this lustrous dark, reddish brown wood slip smoothly through the fingers. 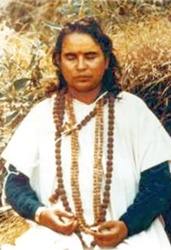 Reputed to be good for the skin; it's popular for rosaries, as rose is especially pleasing to Divine Mother. 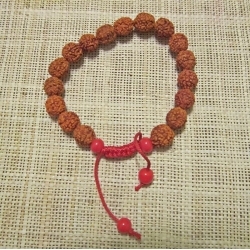 Wrist Mala strung on elastic.